The Meer is releasing our brand new, long awaited album, SHED! Come help us celebrate! We are making the bad decision to play after these really amazing bands that are super cool! Support local music! Come to the show! The Meer is a three piece from Maryland. They create a unique sound from elements of heavy psychedelic, indie alternative, dark, introspective, and straight forward minimalist rock. 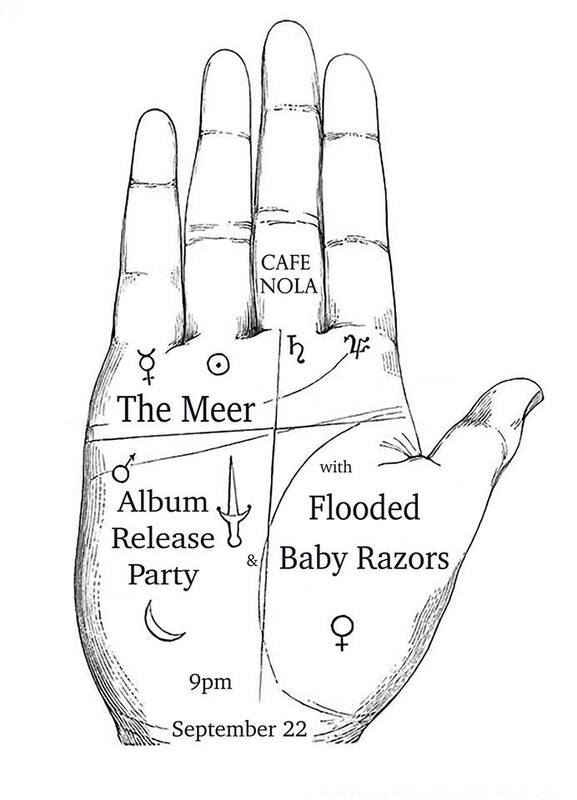 The Meer plays hundreds of shows across the six states surrounding the DC metro area, at venues such as Rock and Roll Hotel, DC9, Ottobar, countless house venues, and others. They strive to uphold strong DIY ethos, and promote a supportive community for independent musicians everywhere. Flooded has a sound that's ever changing, each record representing a different moment in time. Flooded is a solo project turned live band with lots of FUZZ.